Metal fabrication is a process followed to give metal a particular shape and turn it into various types of end products depending on the end-use applications of fabricated metal products. Various modern techniques can be employed in metal fabrication processes to manufacture various types of fabricated metal products, such as metal cans, shipping containers, structural metal parts, forgings & stampings, screws & bolts, ordnance accessories, cutlery, hand tools, and other fabricated metal products used in various types of hardware. 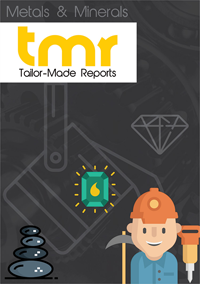 Ball Corporation, Schaeffler Technologies AG & Co. KG, Commercial Metals Company, Nucor Corporation, Timken Company, Mueller Industries, Flowserve, Toyo Seiken, and Snap-on are among the leading companies in the fabricated metal products market. Ball Corporation – a multinational company in the fabricated metal products market – announced in December 2018 that it has entered an agreement for the sale of its metal beverage packaging facilities in Beijing, Foshan, Hubei and Qingdao, China. ORG Technology Co. Ltd. – a Chinese metal packaging company – will be purchasing Ball’s beverage can facilities in China for approximately $225 million. The company announced that it is taking this step to free up capital that does not generate satisfactory returns and ultimately to reach the goals of free cash flow in excess of $1 billion and $2 billion of comparable Earnings before interest, tax, depreciation and amortization (EBITDA). Schaeffler Technologies AG & Co. KG – a German manufacturer of rolling element bearings and leading player in the fabricated metal products market – signed an agreement to acquire a German company that manufactures stators and alternators – Elmotec Statomat Holding GmbH, in November 2018. Schaeffler is implementing the company’s strategy to focus on electric mobility with the acquisition and aims to expand its knowledge and expertise in the high-volume construction of electric motors. Commercial Metals Company – another leading player in the fabricated metal products market, based in the United States (U.S.) – announced in November 2018, that it has acquired 33 rebar fabrication facilities in the North American region from Gerdau S.A. – a Brazilian steel production company – for a cash purchase price of $600 million. With this acquisition, the company aims to improve its geographical footprint and operational flexibility to establish a stronger position in the fabricated metal products market as a leading provider of wire rod products. Nucor Corporation – an American producer of fabricated metal products including steel products – announced in January 2019 that it will be investing nearly US$ 1.35 billion in building a new plate mill in the U.S. capable of producing 1.2 million tons per year of steel plate products. The company also announced that the investment is aimed at its long-term profitable growth strategy that mainly focuses on expanding its production of value-added fabricated metal products in the upcoming years. In September 2018, the company announced the approval of an US$ 650 million investment in expanding the flat-rolled sheet steel mill in Kentucky, to ultimately double the production from 1.6 million tons to 3 million tons per year. This investment complements the company’s recent investment of over US$ 176 million for constructing a pickle galvanizing line at Nucor Steel Gallatin, which is likely to begin producing around 500 thousand tons per year of galvanized hot band steel in the first half of 2019. The demand for fabricated metal products and overall growth prospects of the metal fabrication industry mainly depend on economic growth to thrive and its impact on other industrial sectors. Post the Great Recession, the global economic landscape has recalibrated itself, creating positive growth environment for various industrial sectors, including the fabricated metal products market. Current modifications in business models of various industries include a major shift from depending on a few large projects to procure yearly profits to maintaining steady sales volumes by diversifying products. This has continued to boost growth of the metal fabrication industry. Thereby, improving growth prospects of the metal fabrication industry with the recovering global economy is expected to provide an impetus to growth of the fabricated metal products market. The lightweighting trend is spreading fast across a wide range of industrial sectors, which is bringing in some huge transformations in the raw materials used in various end-use applications. Most industry players are replacing heavy weight fabricated metal products with lightweight alternatives, such as components made of plastic. The automotive industry and the aerospace industry are among the leading end-use industries that have amassed the lightweighting trend by spurning fabricated metal parts with plastics. Thereby, increasing popularity of the lightweighting trend is likely to impede growth of and developments in the fabricated metal products market in the upcoming year.